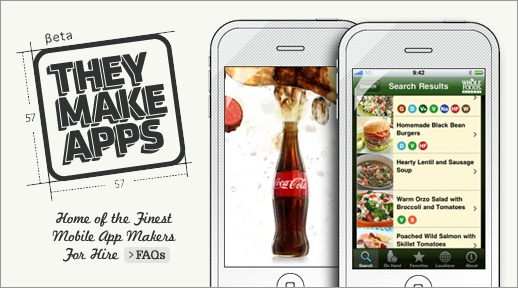 They make Apps. Do You? I stumbled across this great website today (they make apps). A site for Iphone application developers to post their work and become discovered. Not only do you get to view tons of great apps with a easy to navigate website you can actually link to the companies sites, twitter, blogs, and email them directly. I love simple and well executed websites. Well done.